Admin Posts | OH THUNDER! 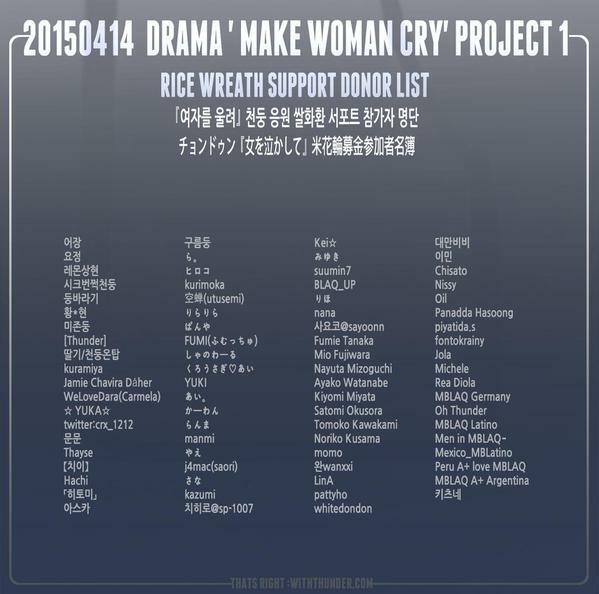 That’s Right is holding a fundraising event this month of March to give Doongie a rice wreath in support of his new drama Make A Woman Cry this April. 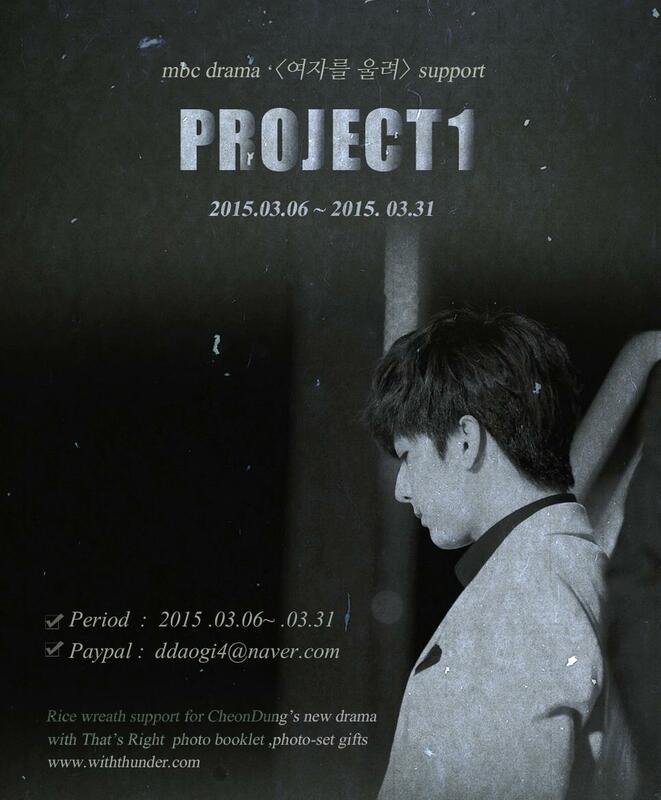 The amount of rice raised for the support will be given to those in need under the name of Cheondung and his fandom. Any amount of donation is welcome, but That’s Right will also be sending gifts for those who donate more than $20. Want to donate and get special gifts, but can’t raise up to $20, $40 or more? We thank all our readers who have been quietly following us and occasionally leaving their comments. Although recently we haven't been as active as before, as Doongie's fans, we are always just watching over him, ready to give our support, and we will continue to do so in the many days, weeks, months and years to come. We hope to continue to update you on Doongie's future activities through this blog and and our twitter. We need to catch up till Monday! Spread this guide on forums, Twitter, Facebook, etc. Please give credit. 1. 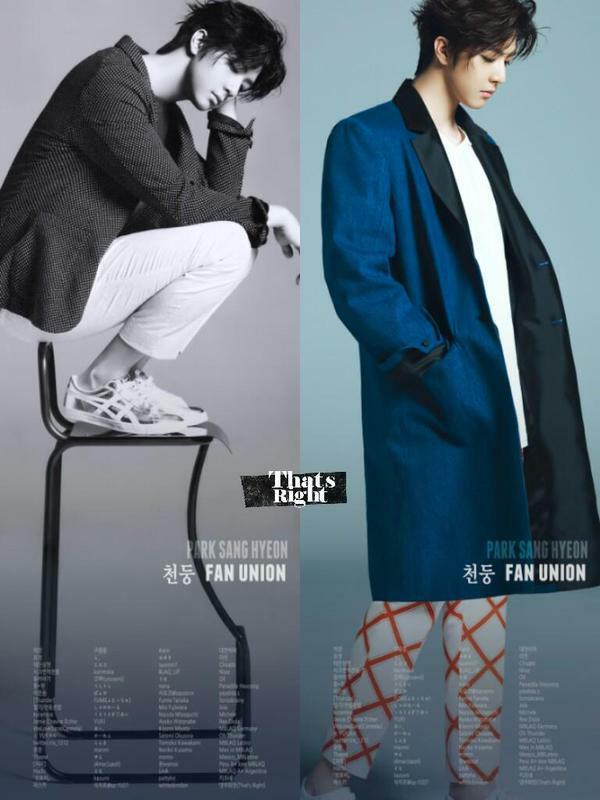 Go to Daum site and click in ‘Sign up’. Ve al sitio de Daum dale click a ‘Registrar’. 2. Click in the right button. Dale click al botón de la derecha. 3. Insert your e-mail address, your name, click the blue button next to it and accept the pop-up message. Ingresa tu e-mail, tu nombre, dale al click al botón junto a el y acepta en el mensaje pop-up. 4. Daum will send a message with a number code to your e-mail. Daum te enviará un mensaje con un código numérico a tu e-mail. 5. You should had received this kind of message, copy the number code.